PlanoGraphics isn't just mobile because you can share and collaborate from anywhere in the world, we offer versions of the software that are optimized for and run on Windows, Mac, iPhone, iPad, and Android devices. Take your products and planograms with you on virtually any mobile device, to fit virtually any kind of setting or situation. Regardless if you are presenting you planograms on your iPad for an important customer, collecting field data on site on your iPhone or planning your next big product launch on your laptop back at the office, PlanoGraphics mobile makes it simple and effortless to have your planograms, products and images with you at all times on virtually any devices. Just because PlanoGraphics Mobile runs on small mobile devices dosen't mean it's got a small feature set. PlanoGraphics Mobile has a full comprehensive set of features that rivals our dedicated desktop versions of PlanoGraphics regardless if you are running it from your Mac, Windows PC, mobile phone or tablet. PlanoGraphics Mobile starts at just $99 per user plus an annual $99 fee for the service after the first year. Once you have setup your software and account you can easily add additional users to use the software and have access to your planograms, product data and images. Each additional user added to your account is only $99 per year. You can add, change or remove users at anytime so you can scale the service to your needs as they change. 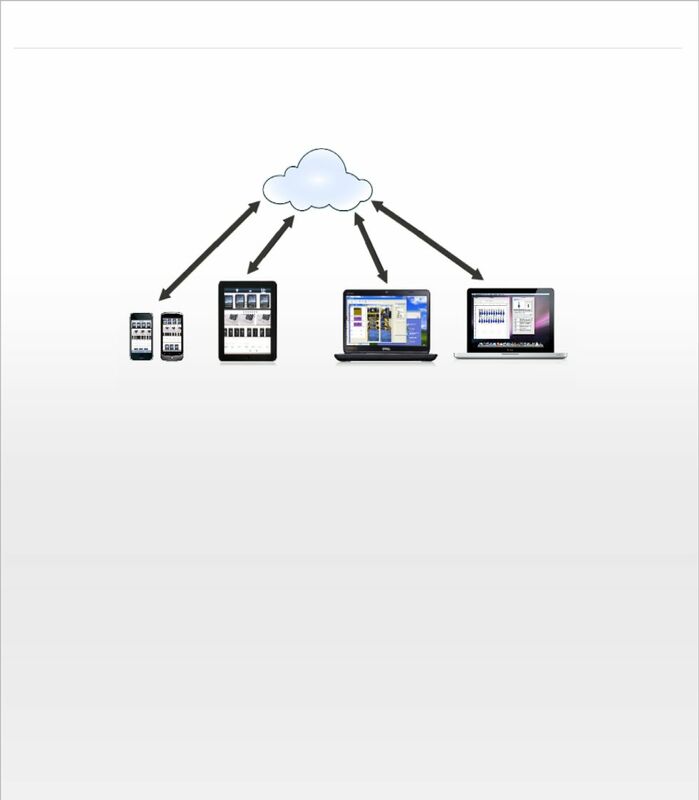 Automatically and effortlessly keep planograms, product images and product data synced across multiple devices and multiple users through "the cloud" ( the Internet) regardless of geographical location. PlanoGraphics mobile is ideal for planogramming and planogram management across multiple stores, sales teams or departments since it allows planograms and product data to be centrally maintained while at the same time requiring virtually no effort to deploy planograms, planogram images and product data to stakeholders or teams anywhere in the world. User 1 in the marketing department on a Windows PC creates a planogram templates for new product category launch. Users 4 and 5 on site at the store filling in performance feedback by adjusting planograms using an iPhone.